In one of the 2012 emails, Navy contractor Gerald Sodano explained that the Navy « utilized EW [electronic warfare] ranges outside the local vicinity. » But he went on to say that the aim of establishing an electromagnetic warfare range on the Olympic Peninsula would be to conduct all training locally on the Olympic Peninsula, rather than further afield. This means that rather than using expansive training areas the Navy already has access to in Yakima in eastern Washington State, the Navy aims to use the Olympic National Forest and areas adjacent to Olympic National Park instead. The Navy’s plans also include setting up mobile units on the ground, with towers emitting electromagnetic radiation signals for the planes to locate as part of their exercises. According to an email from Naval Warfare Range Manager Kent Mathes, if the Navy gets its way, there will be 275 « events » per year, between the mobile emitters and ships at sea. (This information is not mentioned in any public documents.) The definition of « event » is not clear, but according to other Navy documents, a single event can last from a few minutes to several days. If combined, the total number of events for the Olympic, Okanogan-Wenatchee and Colville National Forests will be over 5,000. Further along in that document the same map is labeled « Proposed Areas of Review in support of Navy Electronic Warfare Training. » The first shows mobile emitter sites in Olympic National Forest that « tested well with aircraft, » and includes a photo of a truck-and-trailer mobile emitter parked at several sites and a campground area. Both maps include Hood Canal Road and the entire length of Route 101 on the Olympic Peninsula, which is the most popular tourist route in the area. The public road leading to the world-renowned Hoh Rainforest is also shown as a mobile emitter route. The Hoh Tribe, which has lived there for centuries, was not consulted by the Navy. The tribe’s only notification of the training has been a marked increase in low-flying jet traffic. These public roads are listed as « Areas in Support » in the electromagnetic warfare training maps. 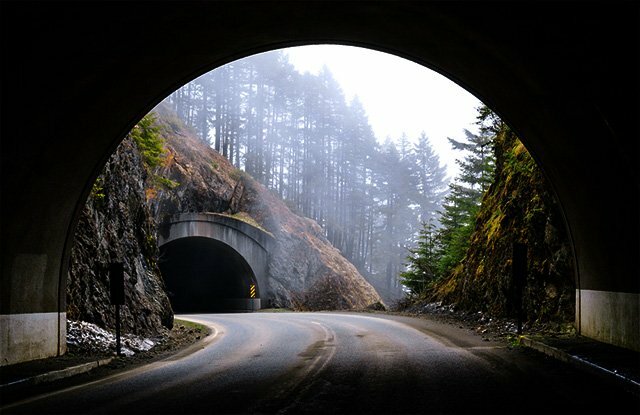 The general public remained unaware of the establishment of an electromagnetic warfare range over any portion of the Olympic Peninsula until late September 2014, about six weeks after the Navy’s 15-day comment period on an environmental assessment (EA) closed. 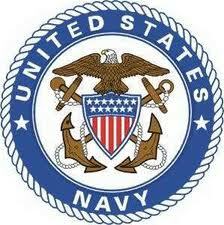 The Navy issued a « finding of no significant impact. » A few days later, the subject was closed and no further opportunity forpublic comment was allowed, despite the fact that no comments had ever been received by the Navy from elected officials, Native American tribes or individual residents – because nobody knew about it. But the Navy replied that it would not do a biological assessment, and instead would « expand the discussion » on threatened and endangered species in the EA itself. « Anyone who reads the EA will see that expanded discussion is 100 percent boilerplate and contains no specific information on impacts, » Sullivan told Truthout. Given that the Navy has admitted in emails and other documents that it has already been running its mobile emitters on public roads unbeknownst to the public (with no « hazard zone » in place), how can it possibly propose to safely operate said emitters within a 100-foot hazard exclusion zone? « So it was 2011, » Millett said. However, the Navy’s response to public concerns about deleterious health effects from its war games has been to point people toward its own inadequate environmental assessment (EA). The military branch continues to claim that « no significant impacts » will result from its electromagnetic war games. Pall told Truthout that the Navy’s claims of safety are « untrue, » and provided reams of evidence, including his own scientific reports, which document the extremely dangerous impacts of even very low levels of the microwave and electromagnetic radiation that the Navy would be emitting during its war games. An April 1981 NASA study titled « Electromagnetic Field Interactions with the Human Body: Observed Effects and Theories » revealed the significant damage that EMF radiation causes to humans.